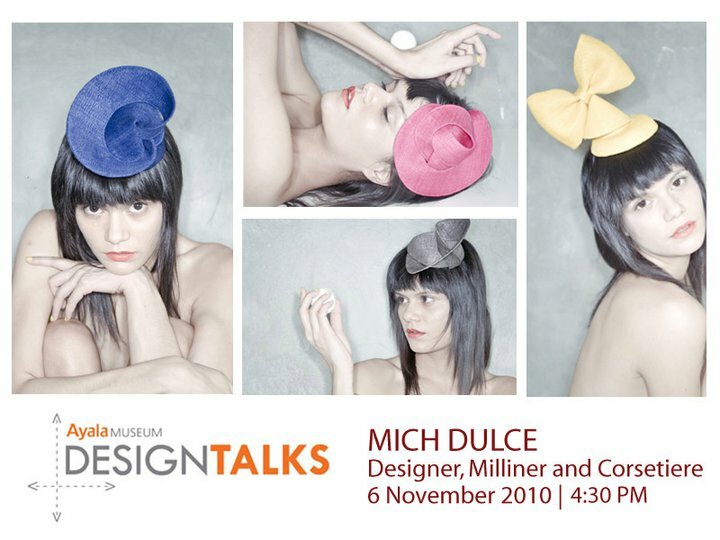 Ahh, here's where the "creative process" of one of the country's top and internationally acclaimed designers, Mich Dulce, talks back. Admission is Php125 for students, Php200 for teachers, senior citizens and Ayala Museum members, and Php300 for adults. For inquiries, cal 7577117 to 21 local 24, 29, or 35; email education@ayalamuseum.org.